Peter Early was sworn in as Governor of Georgia on November 5, 1813 after being elected by the Georgia General Assembly. John Clark was sworn in to the first of two two-year terms on November 5, 1819, again after election by the legislature. Howell Cobb, who previously served as Speaker of the U.S. House of Representatives, was sworn in as Governor of Georgia on November 5, 1852, having been elected by popular vote. Democrat Woodrow Wilson, who spent part of his youth in Augusta, Georgia and married Ellen Louise Axson, whom he met in Rome, Georgia, was elected President in a landslide victory on November 5, 1912. Democrat Franklin Delano Roosevelt was elected to his unprecedented third term as President of the United States on November 5, 1940. Richard M. Nixon was elected President of the United States by a plurality vote on November 5, 1968. 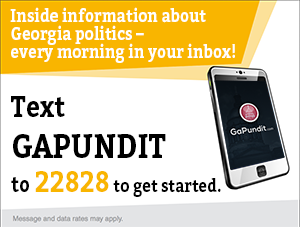 On November 5, 2002, Sonny Perdue was elected the first Republican Governor of Georgia since Reconstruction, beginning the modern era of Republican dominance of Georgia state politics. First things first. In DeKalb County, we have a December 2 runoff election for County Commission District 2 between Nancy Jester and Holmes Pyles. The Brookhaven Redevelopment Powers referendum was defeated. 60.07% of voters said ‘No’, while only 39.93% said ‘Yes’. There was strong opposition to granting the City Redevelopment Powers. Some citizens said one of their difficulties with the referendum was that it put too much decision making power in the hands of the current City Leadership and Council. Others said the city “needs to slow down”, “get great at the basics” and then, perhaps, when those things are accomplished, look at Redevelopment Powers at some point on the future. Just because you know the clowns doesn’t mean you want to spend all your money on circus tickets.Continue Reading.. Pollsters weighted the responses to reflect an anticipated turnout in which 30 percent of the voters are black and 55 percent are female. Assuming that 37% of voters in November will be African-American is either delusional, or the results were weighted to put the Senate and Governor’s races smack in the middle of what everyone else’s says. This is what FiveThirtyEight refers to as “herding.” Why would they do this? There’s a reason the polling firm here is among the very lowest-rated by Nate Silver’s FiveThirtyEight. The closer the election gets, the harder it is to tell who is going to win, according to a poll released today showing the races for governor and the Senate effectively tied. Democrat Michelle Nunn’s 47 percent gives her a slight lead in the Senate race over Republican David Perdue’s 45 percent, but the survey’s 4 percent margin of error means they’re statistically in a dead heat less than two weeks before Election Day. Libertarian Amanda Swafford’s 4 percent could trigger a January runoff by preventing Nunn from getting a majority. Another 4 percent haven’t made up their minds yet. In the contest for governor, Republican Nathan Deal and Democrat Jason Carter each command 44 percent while Libertarian Andrew Hunt is taking 5 percent. Eight percent of those surveyed were still mulling over the choices. The poll of 704 general-election voters was conducted by automated questionnaires via cellphone and landline Tuesday and Wednesday by InsiderAdvantage and Opinion Savvy on behalf of Morris News Service and Fox5. Pollsters weighted the responses to reflect an anticipated turnout where 37 percent of the voters are black and 55 percent are female. via Nunn leads Senate race; Deal and Carter tied | The Augusta Chronicle. James Oglethorpe of Georgia signed a treaty with Florida’s Spanish government on October 22, 1736 that is commemorated each year with a very large cocktail party. On October 22, 1832, the Cherokee Land Lottery began in which the Georgia state government gave away millions of acres of land in 160-acre and 40-acre parcels. President Grover Cleveland arrived in Atlanta aboard the Southern Railway to tour the Cotton States and International Expo on October 22, 1895. Four-hundred thirty-three Atlantans were poisoned by bad moonshine on October 21, 1951. President John F. Kennedy announced the American naval blockade of Cuba after spy planes photographed Soviet missiles on the island 90 miles off the coast of the United States. The third and final debate between Jimmy Carter and President Gerald Ford was held on October 22, 1976 at Williamsburg, Virginia. The Atlanta Braves won the first World Series baseball game played outside the United States on October 22, 1992, beating the Toronto Blue Jays 7-2 with pitcher John Smoltz starting for the Braves. 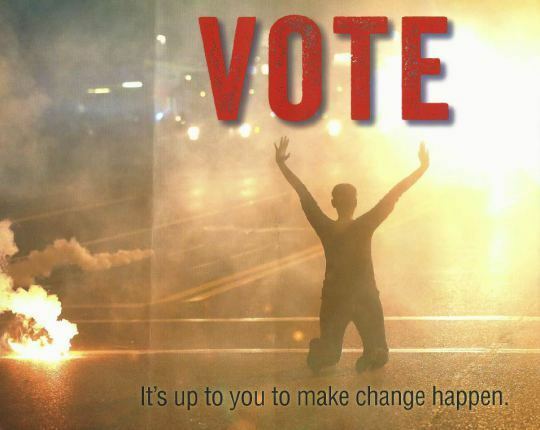 The Georgia Democratic Party is engaged in vicious race-baiting in a divide and conquer strategy to drive African-American voters to the polls. The above photo originated, I believe, from an AJC scan, but has been traveling across the internet for 24 hours. Continue Reading.. 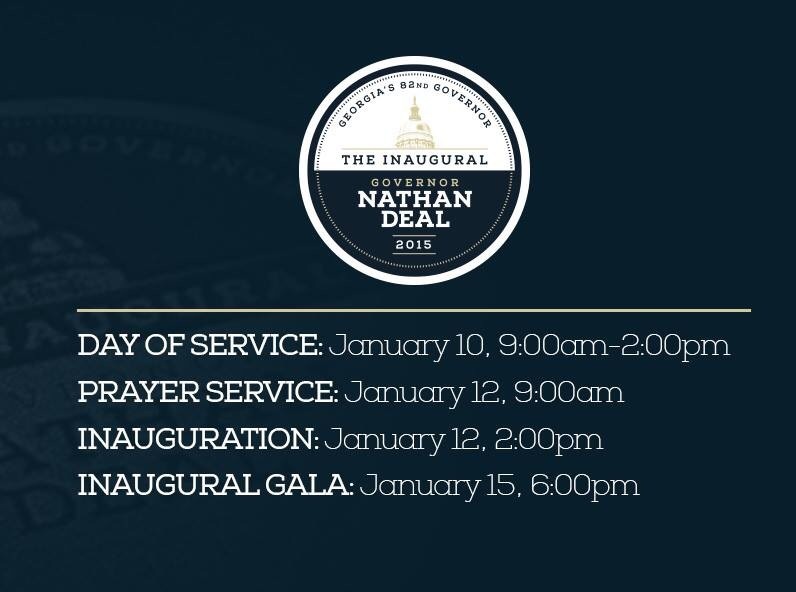 Newest Survey USA Poll – a look under the hood. Here’s the bottom line on my analysis: The major change from the last SUSA and this are that Independents were breaking 3:2 for Deal and Perdue, but this poll shows them 40-37 Deal and 43-37 Perdue. Hispanic and Asian are too high at 7 and 5 respectively. All “other” than black or white is usually around 8-9% total. That undoubtedly includes some “white” and “black” as well. NB: When looking at subsample, your margin of error rises, sometimes dramatically so. Former Confederate President Alexander Stephens was released from federal prison on October 12, 1865 and returned to Georgia. On October 13, 1870, Governor Rufus Bullock signed legislation creating the Georgia State Board of Education. 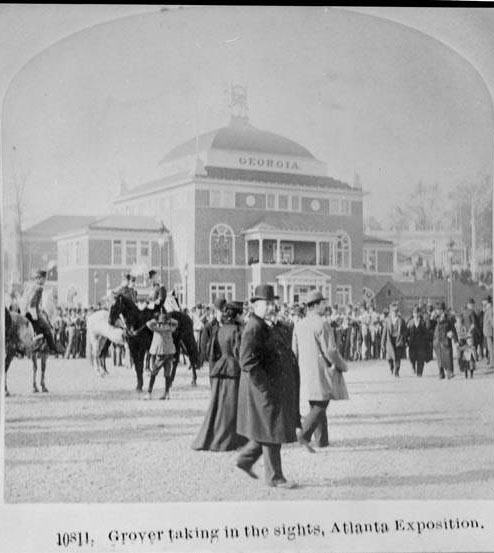 On October 13, 1885, Governor Henry McDaniel signed legislation authorizing the creation of a state school of technology as a branch of the University of Georgia; the school would open in Atlanta in October 1888, and in 1948 was renamed the Georgia Institute of Technology. On October 13, 1918, the ban on public gatherings in Atlanta to prevent spread of the Spanish flu, was extended an additional week. 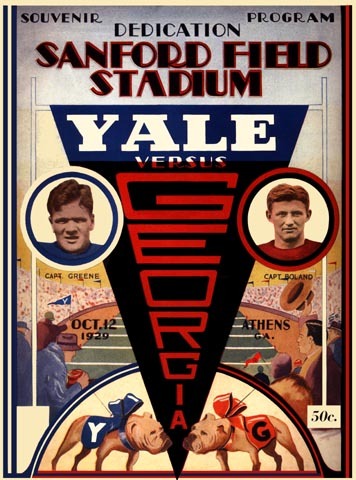 The first game in Sanford Stadium was played on October 12, 1929, with the University of Georgia Bulldogs beating the Yale Bulldogs. Here is the first ten minutes of the game. On October 12, 1958, The Temple was bombed after a phone call to WSB warned that Black churches and Jewish temples would be blown up. On October 13, 1976, Democrat Jimmy Carter received a post-debate bump against President Gerald Ford, with polls showing Carter at 50%-40% over the incumbent, up from 47%-45% before the debate. Former President Jimmy Carter was awarded the Nobel Peace Prize on October 11, 2002, becoming the second native Georgian to win the award, with Rev. Martin Luther King, Jr., having won in 1964. The latest political soap opera in DeKalb County is not the behavior of politicians, but of voters. Specifically the dozen or so who were chosen to serve on the jury in the trial of suspended CEO Burrell Ellis.Continue Reading..
To calculate the unemployment rate, the U.S. Census Bureau and U.S. Bureau of Labor Statistics takes samples of nearly 60,000 households. They are surveyed monthly for four consecutive months, left alone for eight months and then surveyed again monthly for the next four months. That means that in each month, there are eight “rotation groups,” each of them intended to be representative of the population. The government then weights the groups to come up with an official unemployment rate. So that weighting has a large effect on the result. Krueger and his collaborators found that during the first half of 2014, the unemployment rate among people in the first month of being interviewed was 7.5 percent. However, for those in the final month of being interviewed, it was only 6.1 percent. But the Bureau of Labor Statistics weighted the first interview more heavily, so the official unemployment rate for this period was 6.5 percent. via Can you trust the unemployment rate? | www.myajc.com.